When people talk about “mid-century modern” it is often hard to disentangle it from a whole host of styles which emerged around the same period and displayed many of the same aesthetic elements. As such, it is worth trying to isolate some of the things that distinguish the variations. 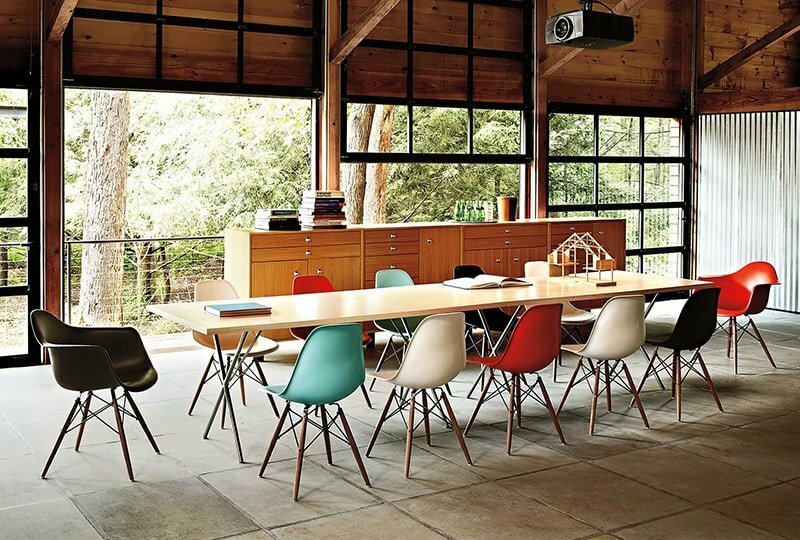 And what better way than through a list of the chairs that defined them. Occurring in the latter period of mid-century, and encouraged by the space race, space age design was especially fixated with celebrating the future and capturing the optimism and faith in technology. Designs often look like they belong in a space ship. 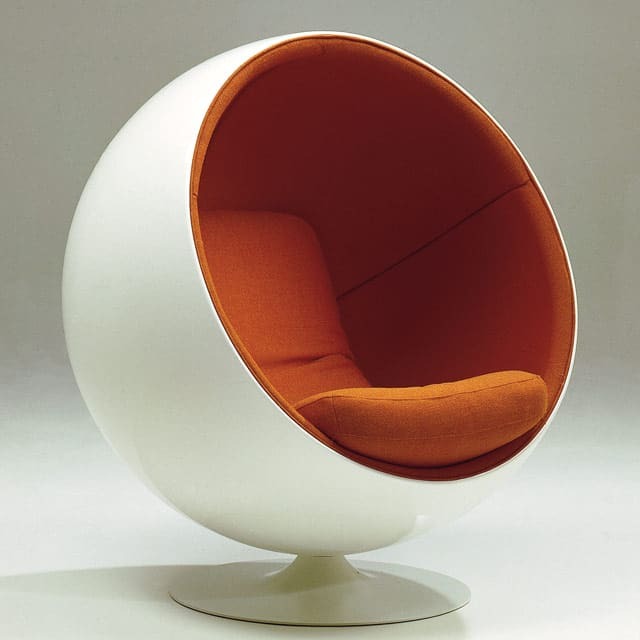 A key example is the Ball Chair by Eero Aarnio, right out of Kubrick’s 2001 (although ironically, it was never the designer’s intention for it to be associated with sci-fi). The style is also really encapsulated in the popular cartoon from the period The Jetsons and in designs like the Keracolor TV. Bauhaus design emerged in a period of great social upheaval and was militantly social in outlook. It emphasised radically simplified forms, rationality and functionality, and the idea that mass-production was reconcilable with the individual artistic spirit. Perhaps the most famous example of Bauhaus design is the Wassily Chair, replete with tubular steel, the Bauhaus’ signature material. Other design objects which were characteristic of the Bauhaus school of design are Breuer’s brass lamps, exemplifying the often cold and severe functionalism that defined the style. Providing a useful stepping stone between the strict and often quite socialist principles of Bauhaus and the mid-century style is the International Style which was more concerned with form and aesthetics. 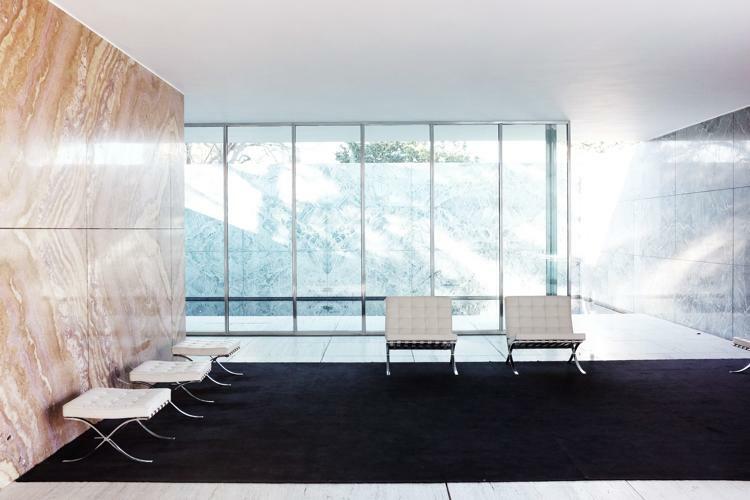 The main proponent of the International style was Ludwig Mies van der Rohe. 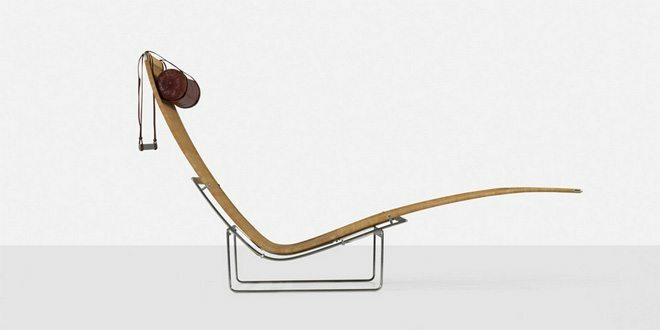 His Barcelona Chair was originally designed for the German Pavilion, that country’s entry for the International Exposition of 1929. The main distinction between the Wassily Chair and Barcelona chairs is the latter’s smoothness against the former’s more utilitarian appearance. The International is perhaps more known for its buildings, such as Richard Neutra’s Lovell House. 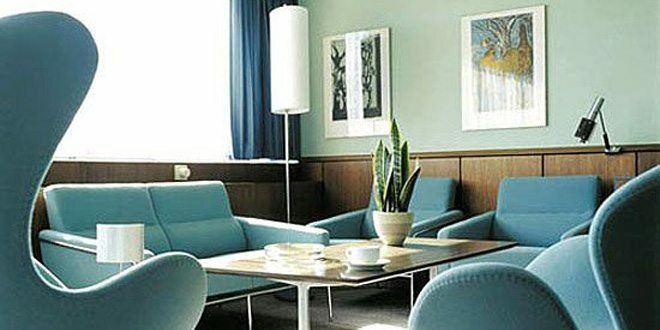 Danish Modern was influenced by Bauhaus but with a greater emphasis on using materials that were easy to mass produce and cheap while remaining solid and durable. Amid post-war scarcity designers experimented with plywood and plastic, well represented in the Ant Chair by Fritz Hansen. Denmark had a history of cabinet making that really fed into the design culture, and so cabinets also feature heavily in Danish Modern. 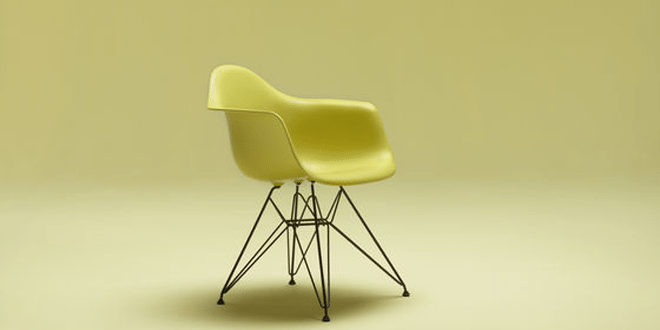 The Eames Lounge Chair is perhaps more famous, but the Eames Fiberglass Armchair is more mid-century, on account of providing affordable mass-production while retaining excellent design. The exposure of hardware is kept to a minimum, and unlike the International style, there is a warmth to mid-century design. These elements are also present in designs like the Bubble Lamp by George Nelson or in fittings for everyday use, such as mailboxes, which contemporary companies such as Modern Mailbox seek to passionately re-create. The aim with both products is to obscure hardware and create a sleek yet warm and playful design. Visit Modern Mailbox to see the full collection of mid-century inspired home-products. Join Our Free Newsletter, Now!